On June 24-26, 2016, Directors of the HKHTC travelled to Phnom Penh, Cambodia to enhance their knowledge base of the events of the Cambodian Genocide. Accompanied by a staff member from the DC-Cam (Documentation Center of Cambodia), the directors’ stops included S-21 (Tuol Sleng Genocide Museum) where they met with 2 survivors and toured the prison grounds and also the Choeung Ek Killing Fields. The group also went to the DC-Cam premises where they met with a perpetrator that worked at the S-21 prison and the Genocide Education coordinator/team leader and a genocide education teacher from DC-Cam. 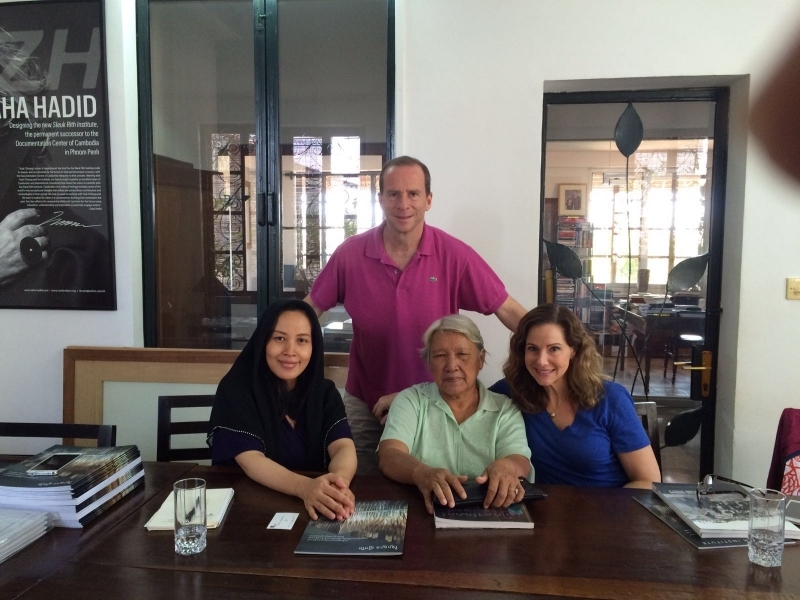 Please click here for more photos from our directors’ trip on the Cambodian Genocide.